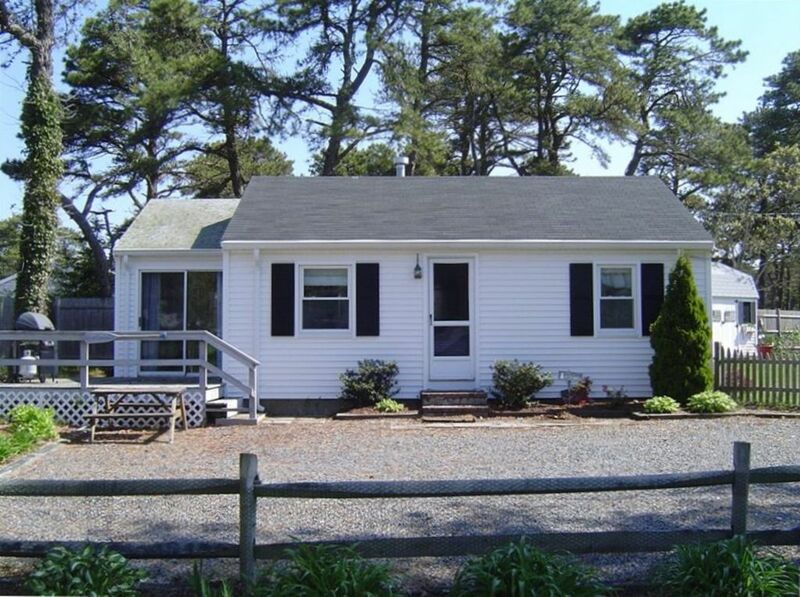 Location: 11 Ocean Drive (Rear) - Dennisport, Massachusetts 2 bedrooms one bath, Less than 3/10 of a mile from Haigis Beach. Amenities: Washer, Dryer, Dishwasher, Gas BBQ grill, Microwave, Toaster, Coffeemaker, Ceiling Fans, Dishes/Utensils provided. Cable tv and wireless internet. Extras: Heated Cottage, Outside Shower and Outdoor Furniture. Description: Adorable 3 season cottage with all the right stuff. Only minutes from beautiful Cape Cod bay & National Seashore ocean beaches. Short distance to the remarkably picturesque Cape Cod bike trail & enjoy the breathtaking sunsets. Directions: From Bourne or Sagamore bridges, follow signs to Route 6 (East). Follow Route 6 (East) until you reach Exit 9A (Rt 134 South). Take Route 134 at the end of the ramp and follow all the way to the junction with Route 28. You will go straight through the lights at this intersection and will now be on Swan River Road. At the end of the winding Swan River Road you will take a left onto Lower County Road. You will pass Coldwell Banker - Martha Murray Real Estate (on your right). Shortly after, look for OCEAN DRIVE on your RIGHT. Once you turn onto Ocean Drive, you will see the Dennisport Pines Cottages on your right. Immediately after them there will be a white cottage - 11 Ocean Drive. Our cottage is behind this first, white cottage. My family and I stayed here for two nights. The property was clean and well kept. Easy access to the beach and convienent to restaurants and stores. We would definitely stay here again. Perfect Cottage, close to everything. All though we were in the middle of a severe heat wave. It was Hot! Our family made the most of it. Quiet, cozy, all the amenities. Just a Walk to the Beach! So happy you enjoyed your week! We loved the cottage - everything is fresh and new inside, including comfortable beds, and it was great having a nice gas grill to use! Thanks! We are so happy you had a great vacation at the cottage. Thank you ! Stayed for a girls weekend in June. This property is in a great location, short walk to the beach, well appointed and clean. Perfect start to the summer 🙂 Thank you!! Thank you for your 5 star review. We are very happy you enjoyed your stay at our property! Cool Fall weekend. Close to everything. Short walk to the beach. Short drive to the start of the bike path. We request you to leave the cottage as clean as you found it. If you want to use our cleaning service, please email me. The charge is an additional $150 on top of the rental fee and security deposit.